It was a performance which reunited one of southern rock's greatest stars with a guitar virtuoso who happened to be a former Escanaba resident. The March 22, 2004 show at the Palms in Las Vegas featured Blackfoot founder and Lynyrd Skynyrd guitarist Rick "Rickey" Medlocke along with Mark Woerpel, who once called this area home. Woerpel's on-stage reunion with Medlocke in Nevada also included Charlie Hargrett, the man he replaced in the 1990's version of Blackfoot. Medlocke's rare solo concert that night, the first in nine years, showcased acoustic tracks from his tenure with both Blackfoot and Lynyrd Skynyrd. "This doesn't mean I'm planning to leave Skynyrd, nor does it mean I'm planning to reform Blackfoot. It's just something I've thought about doing for a while," Medlocke said then. "Rickey has always loved acoustic shows," Woerpel noted, adding it was interesting that night to watch Medlocke work together again with Hargrett, the original guitar player in Blackfoot. Woerpel, of course, was already quite familiar with Medlocke's song catalog, having toured and recorded with the venerable southern rocker during Blackfoot's final years. "It seemed like no time had passed at all," the ex-Escanaban told me about playing with Medlocke again. "In all the Blackfoot shows we did, there was a spot where he and I would play two or three duo songs," he recalled. A child prodigy on guitar, Woerpel's parents, Loren and Donna, moved their family here from Milwaukee in the mid-seventies. The young Woerpel attended local schools and remembered fondly playing "some crazy jazz stuff" with Escanaba musician John Beck. Woerpel first met Medlocke in 1984. "I was playing with a drummer from a band called Axe. We had the same manager from Ann Arbor so Rickey became involved in everything, including producing some of my stuff." "We hit it off like brothers so I was involved in his stuff as well, playing and singing on some of the Blackfoot material before I actually went full-time with him," Woerpel explained. 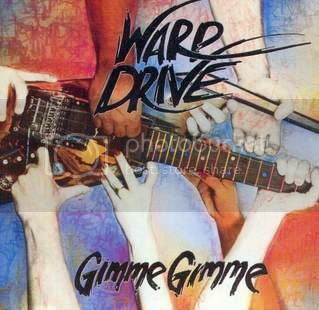 When Woerpel's group, Warp Drive, put out a compact disc called "Gimme Gimme" in 1988, Medlocke was there to produce two tracks, "Words" and "Stay On, Stay On." The compact disc contained ten songs, all composed by Woerpel, and appeared on Ann Arbor's Nalli Records label. Band members included Woerpel on lead vocals and guitar, Cary Kaylan on bass, drummer Vin E., Stevie Rae Draeger on guitar and keyboardist Mike Pyne. Except for Medlocke's tracks, the record was produced by Woerpel and Ben Gross and was recorded at Pearl Sound in Canton, Mich. The disc was well received by critics and the music-buying public. It was also released in the European market by Music for Nations and Sony in Japan, but unfortunately, the melodic hard rock sound of the1980s was about to give way to the grunge of the following decade. Warp Drive broke up in 1991 after five years together. Woerpel kept busy, participating in the recording of Blackfoot's "Medicine Man" album in 1990. Along with Medlocke and Doug Bare, Woerpel co-wrote a track on the disc entitled "Chilled to d'Bone." He was invited to join the band two years later. more prominent role. "After the Reign," a bluesy southern rock effort, included four selections co-written by Woerpel: "Nobody Rides for Free," "It's All Over Now," "Bandelaro" (mistakenly credited to the drummer) and the title track. Woerpel provided lead, rhythm and acoustic guitar; guitar synth and backing vocals on the album which was released on the Wildcat!/MCA label. Zakk Wylde, famous for his work with Ozzy Osbourne, played the second lead on "After the Reign." The band's rhythm section was comprised of drummer Benny Rappa and bassist Tim Stunson. 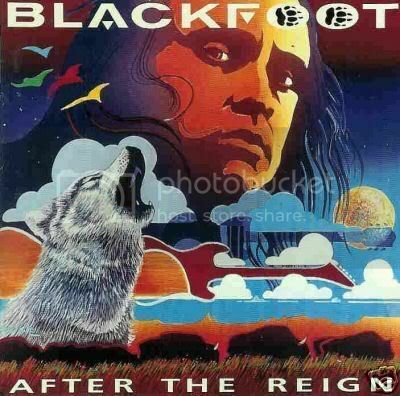 "After the Reign" was a praiseworthy project and Blackfoot toured the world to support it. "One of the greatest things we'd always do is in every town from New York to Anchorage was Rickey and I would get up at 6 a. m. while everyone else slept and do the local morning radio show on two guitars. It would always amaze me how many great stories he had." Sadly, that studio album turned out to be the group's last disc of new material. Woerpel quit Blackfoot when Medlocke started writing in Nashville. "I left because I knew I had no strengths in country writing." Six months later, Medlocke was asked by founder Gary Rossington to replace guitarist Ed King in Lynyrd Skynyrd. Medlocke was originally a drummer for Skynyrd, but quit early on to front Blackfoot. "He's enjoying being back in arenas and I believe he's the strength of Skynyrd's resurgence," Woerpel commented. With the demise of Blackfoot, Woerpel delved into other projects. Almost immediately, he was contacted by his dad. As owner of Noc Bay Trading Co., Loren asked his son to record for a new label aimed at the Native American market. The younger Woerpel consequently recorded "Flutes of Moo-Wa-Sah" and "On Little Wings." He's produced seven albums for the label. "I have enjoyed and am proud of doing recording projects with my dad," Woerpel noted. Woerpel now lives in the Minneapolis area on a hobby farm he and his wife built, "with plenty of good Escanaba family help. I hope to continue playing and writing here along with more hunting and fishing and family, all the things we would sing about." And, what about Medlocke? "Every once in a while he'll call hoping to do a couple of shows, so I hope to continue to be involved," Woerpel said.